Sometimes good email marketers who practice regular email list hygiene are not able to deliver emails to a specific ISP because of a temporary email block at the ISP. In this situation the emails usually bounce with the “too many invalid email addresses” error. In most cases this happens when email marketers engage into risky list building tactics hoping to grow their lists quickly. But legitimate email marketers should understand that list quality beats quantity in the long term. A good opt-in process is essential to build your email list. The unsubscribe procedure is also important both for your email sender reputation and customer relationships. There are many reasons why people may want to leave your list. Not all of those who decided to unsubscribe are dissatisfied or unhappy with your mailings. But this can happen if your unsubscribe process is not clear or doesn’t work. In this case you force the subscriber to hit “This is spam!” button to stop receiving emails from you. Ideally, you should tend to generate as less spam complaints as possible in order not to hurt your deliverability. Email marketers now need additional insight as to what mailbox providers do after they accept your email. Aside from measuring engagement metrics, marketers need tools to determine how their message is treated by major Internet providers around the world and whether it is delivered to the Inbox, spam folder or blocked before reaching the recipient’s mailbox. Targeted Opt-In Emails vs. Opt-Outs: What’s Going to Do a Better Job? Almost every book or article on email marketing tells us that permission is the guarantee of successful and long-term relationship with the subscribers. But the tough times we’re surviving now may force some email marketers to send their bulk emails to those people who didn’t give the consent to receive them. I don’t mean random spam that is flooding our Inboxes every day. 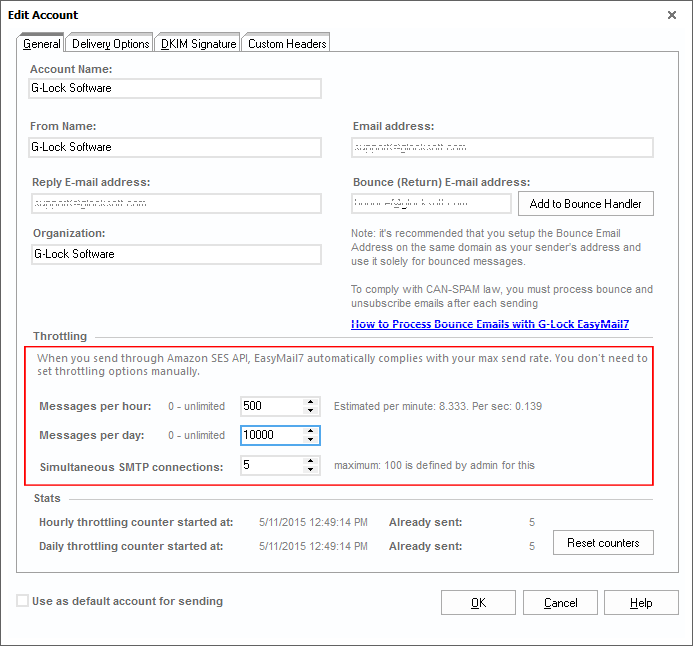 In this article I will tell you about a particular EasyMail7’s feature that is often overlooked but may help you avoid email delivery issues arising from a specific SMTP server configuration. What I mean is the capability to stop and resume email delivery without the user’s participation. In truth, this is a simple yet effective way to comply with the restrictions imposed by an SMTP server to control automated spam emails. Do Subscribers Give You the Right Email Address? Many email users have more than one email account. Do you care which one they use to receive your emails? You know not all the emails are monitored equally even if they belong to the same user. Some email addresses are checked more often than others. Some accounts are relatively free from spam while others receive so much promotional emails that your message simply disappears in the countless flow of ads. So, the important question is how do you persuade your prospects to give you the email address they treat better? The Subject line is often the last thing you think of before sending your email newsletter but it’s the first thing your recipients see after getting your email. Every day Inbox is full of personal messages, subscription newsletters, and regular spam emails which all compete for the reader’s attention. This means you have to work harder at your Subject lines to grab the recipient’s eyes. 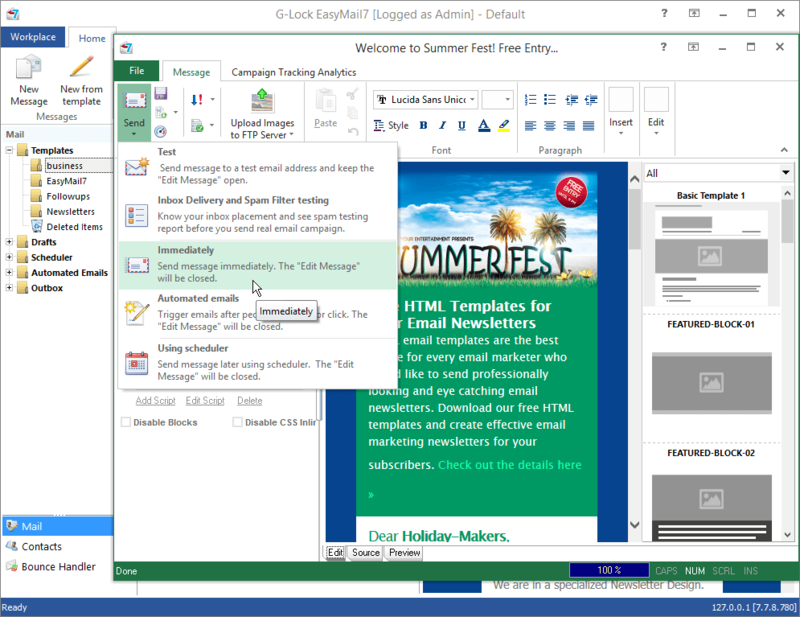 You can send marketing emails directly from your computer using EasyMail7 email newsletter system without expensive monthly payments for email service providers.